The City of Racine builds and rehabilitates houses to sell on the open market to income-qualified homebuyers. Houses are constructed with high-quality materials to be durable and meet all building health and safety codes. Homeowners save on utility bills in these houses because they are energy efficient, with double-pane windows, energy-efficient lighting, and Energy Star appliances. All houses come with a 1-year homebuyer warranty. To purchase a City of Racine house, contact a realtor to request a showing or get more information on a specific property. The City does not directly work with buyers or maintain a waitlist. 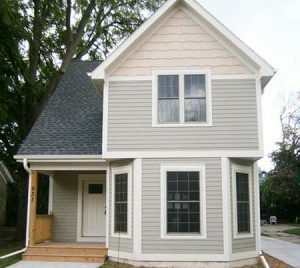 All City of Racine-constructed houses are listed on MLS and all major realty websites.